College is an adventure filled with challenges, a jungle of wonder and beauty that at times, serves any explorer his or her fair share of challenges and difficulties. Ok, so you don’t have to watch over your shoulder for a Burmese Tiger or some exotic spider. Instead, you need to keep an eye on your academic success, an incredibly important aspect of college. It not only impacts your chances of getting hired. The better you do academically, the richer your college experience will be. Here’s a few ways you can achieve just that. Tackling a workload bereft of the proper resources would be like fighting a bull with a foam sword. As a student, take advantage of time management and productivity tools. If you take on your work without tools, you’ll have a tough time. Just ask the matador sponsored by Nerf. Studies show that taking small intervals of rest while working actually boosts your ability to work better and more efficiently. For those days of finals and the immense loads of studying and writing that comes with them, look no further than the Pomodoro timer. This cyclic workflow tool runs in 25-minute intervals. During this time, put your head down and grind away at your assignments. After the 25 minutes are up, the timer gives you a five-minute break — “time off.” During those breaks, get up, stretch, take a short walk, or maybe even take a gander at the latest funny cat videos the internet has to offer. In short, work hard, play hard. 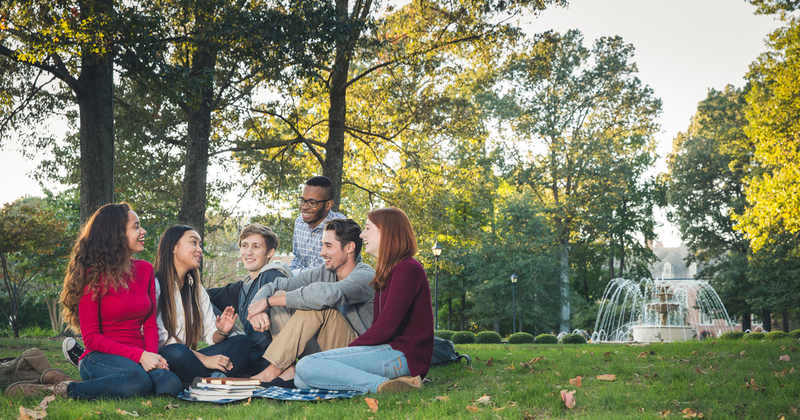 There’s a multitude of departments at Regent University entirely devoted to serving students. Need help with algebra or that tricky term paper? Set an appointment with the math tutoring or writing center. Can’t seem to nail down a balanced schedule for your classes, job, and homework? Swing by the center for student happiness where success coaches, help students organize, strategize, and plan for, well, success. You’re busy, and time is a precious commodity. Make the most of it with the resources around you. When travelling in the forest, you have to maintain a point of reference. It could be a large tree, a boulder, even a hill or mountain; anything that keeps you fixed on a straight course. Without discipline, you’d have a better chance of getting out of a forest blindfolded than achieving academic success. Take a calendar, a notebook-style planner, or even the reminder app on your phone, and build a realistic, doable set of school-related tasks. For example, block out certain chunks in the evening for reading, writing and other school-related work. If you want to take your devotion to self-discipline a step further, have an academic accountability partner — a battle buddy. Ask them to check on you, and not only make sure you’re on-course (pun intended) with schoolwork, but that you’re resting and not unnecessarily overstretching and straining yourself. Building relationships with your professors is a vital part of college learning. These experts — some have been studying certain subjects and teaching longer than you’ve been alive — want you to succeed. They’re a treasure trove of knowledge and wisdom. Whether your grades are good, bad, ugly, or somewhere in between, meet with them. You may learn more in a ten-minute conversation than an entire hour and a half lecture. What’s more, it shows them you have a sense of initiative; that you’re proactively learning and humbling yourself in seeking their counsel.